Avren Events, a division of Clarion Events Limited, holds an exceptional track-record for providing a diligent, expertly-researched series of conferences and exhibitions within the telecoms sector. With more than 80 years of in-house expertise, it was Avren’s duty to formulate the biggest events to hit the small cell and Internet of Things (IoT) technology markets in the United Kingdom – SCWS World and LPWA World 2017 – co-located to provide integral insight into both worlds, in one place. Avren came to Proactive PR with a goal to generate maximum global coverage and press registrations through the writing and distribution of press releases, continual media outreach, social media support, media partnership assistance and, most importantly, executive filming for each event using Proactive PR’s white-label TV offering, Proactive TV. With the ink on the contract still wet from the printer, Proactive PR got to work straight away to provide the ultimate PR strategy in just three months. Proactive PR created teaser previews of each conference through the writing of six tailored press releases, each distributed against a strategic PR timeline. 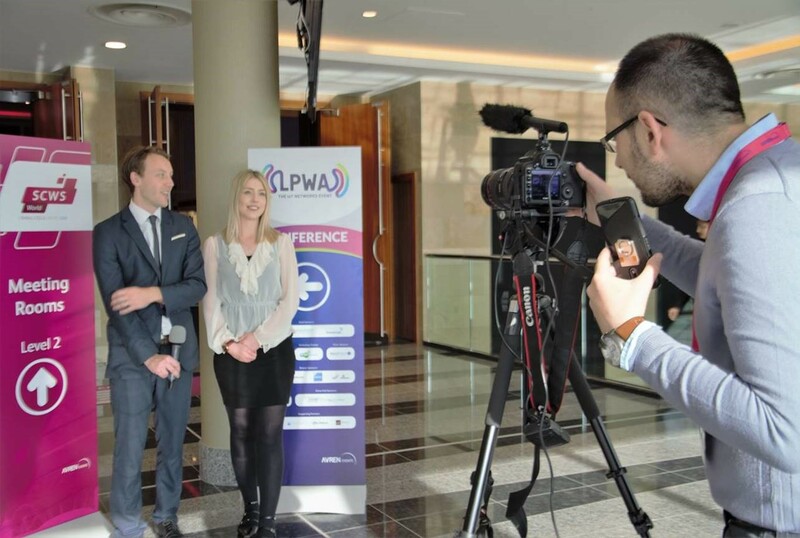 Using a similar method, social media updates were produced for the SCWS World and LPWA World Twitter pages to stimulate a buzz around each event. On top of this, Proactive PR secured various media partners with top tier global publications and managed each individual contra agreement in-house to ensure deliverables were promptly progressed. As the countdown to the event began, so did Proactive PR’s constant media engagement through the delivery of invitation e-blasts to its database of media contacts, proactively encouraging media registrations. The Proactive TV film crew, consisting of two highly-experienced videographers and two presenters, carried out interviews, collated quality video footage and produced all-inclusive video packages for Avren’s promotional output. The Proactive TV team worked with speakers, sponsors and Avren staff members to create a comprehensive filming schedule, allowing for smooth progression of activity throughout each day. Regularly interacting with the Avren team, the film crew were established as ambassadors of both events and were on hand to address any enquiries that arose. Directly affiliated with Proactive PR’s carefully planned three-month strategy, Avren Events obtained a significant increase in registered media and analysts, more than 500 pieces of global coverage, and 12 media partnerships with leading outlets including VanillaPlus, IoT Now and Wireless 20/20. Thanks to the partnership with Proactive PR, Avren Events has gained exceptional new contacts within the industry, enabling the team to begin developments on SCWS World and LPWA World 2018 with a solid base as they look to build on the achievements of 2017.